Rev. Dr. George P. Lee, III and the St. John Baptist Church family will commemorate its 125th Church Anniversary from Wednesday, July 14 through Friday, July 16, 2010 and Sunday, July 18, 2010. The theme for the occasion is “Standing on His Promises: Yesterdays, Today, and Tomorrow!” Hebrews 13:8. The schedule of activities is as follows – Wednesday, July 14, 7 p.m. – Greg O’Quinn Concert; Thursday, July 15, 7 p.m. – Opening Anniversary Praise and Worship Service with Rev. 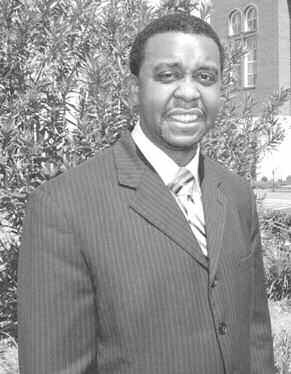 Da’Henri Thurmond, Sr., Pastor of St. Paul C.M.E. Church; Friday, July 16, 7 p.m. – Praise and Worship Musical and Historical Drama featuring the Youth and Young Adult of “The Mighty Fortress;” Sunday, July 18 – Culminating morning worship services at 8 a.m. and 10:45 a.m. The public is invited to share with us as we celebrate 125 years of serving God and mankind. St. John Baptist Church “The Mighty Fortress” is located in historic downtown Savannah, Georgia at 522- 528 Hartridge Street (between East Broad and Price Streets). Additional parking is available along Price Street. Please call the church office at 912-232- 8507 or 1-877-432-8507 for your transportation needs including the physically challenged. Tent Revival Coming Soon! On Sunday, July 25, 2010 at 6 p.m., Rev. Dr. George P. Lee, III, Associate Ministers, Officers, and members of St. John “The Mighty Fortress” will host their first TENT REVIVAL at Soldier’s Field (located in the Blackshear Community behind Hubert Middle School).